This is evidenced by figures from the Central Bureau of Statistics, Trimbos Institute and RIVM. It is for the first time in years that there is an increase again in the number of young smokers. Between 2001 and 2006, the number dropped from 42 to 34 percent, and from 2011 to 2013 the number remained stable at 32 percent. 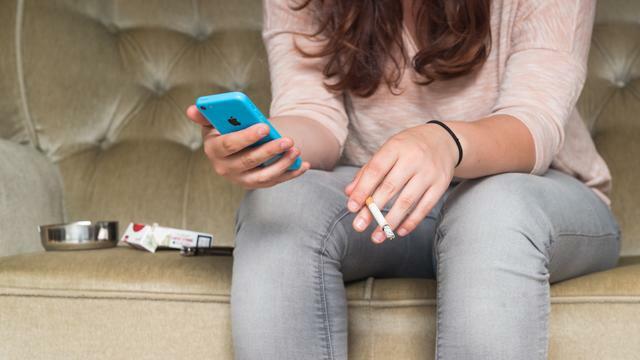 Young people appear to smoke more often than the 25-plus group, according to the CBS figures. 25 percent of this group sometimes smokes. A CBS spokeswoman indicates that a new survey method has been used, which may have affected the results. The number of young smokers raises concerns at the CBS. "A third is a lot, it's unhealthy and risky to experiment with smoking. Tobacco is a very addictive substance," said a spokesman for The Telegraph. Also, 18 to 25 year olds drink more. More than 14 percent fall into the "excessive drinker" category. That applies to nine percent of 25 years and older. One is in the category of excessive drinker when drinking more than 21 glasses a week (men) or over 14 glasses a week (women). Furthermore, the research results show that 23 percent of the 18 to 25 year olds used cannabis in the twelve months prior to the survey. A little five percent of the 25-plus people used the soft drug during that period.